Create a landing page for your event in an uncomplicated, quick and easy way. 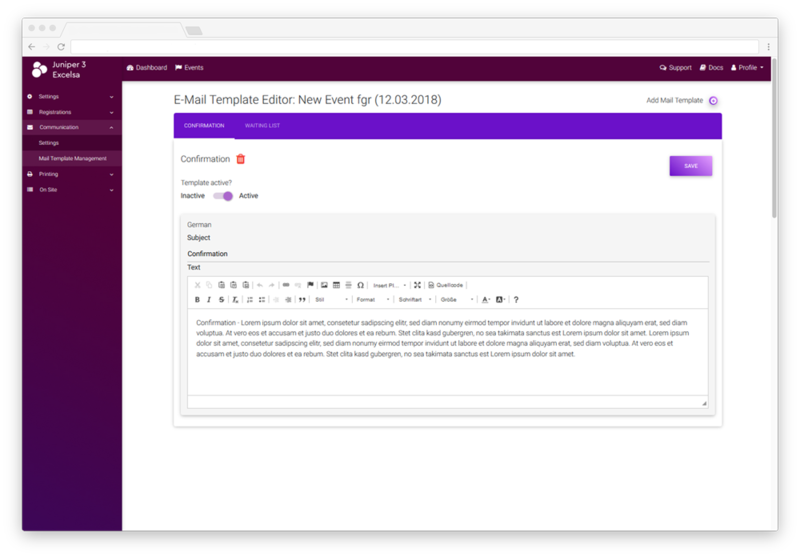 The guidance is extremely intuitive, numerous templates help you to work even more efficiently. By default, Excelsa allows you to list all information and content on the programme, venue, sponsors and guest speakers or show acts. 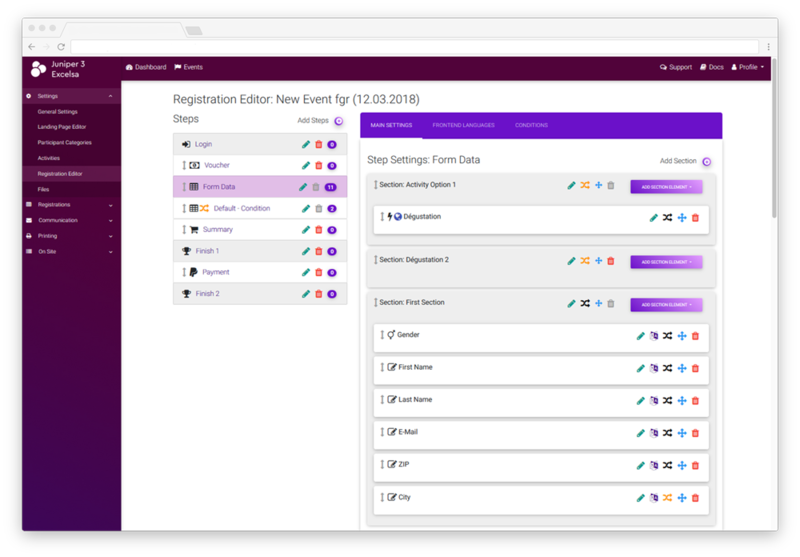 Whether for experienced event managers or administrators, the Excelsa Registration Editor makes working faster and more convenient. It is not only characterized by its user-friendly handling, but also by its flexibility. Send invitations, confirmations, reminders and more: Excelsa communicates for you and sends at the given time the mails which you defined. The system not only considers the status of guests but also the category and time. In this way, target-group-oriented and ongoing communication functions automatically. Keep track of the participants, supervise the status of the registrations import and export participants lists and know at any time who attends which programme issues. All information about your guest at a glance incl. communication process, payment and print templates such as id badges or invoices. 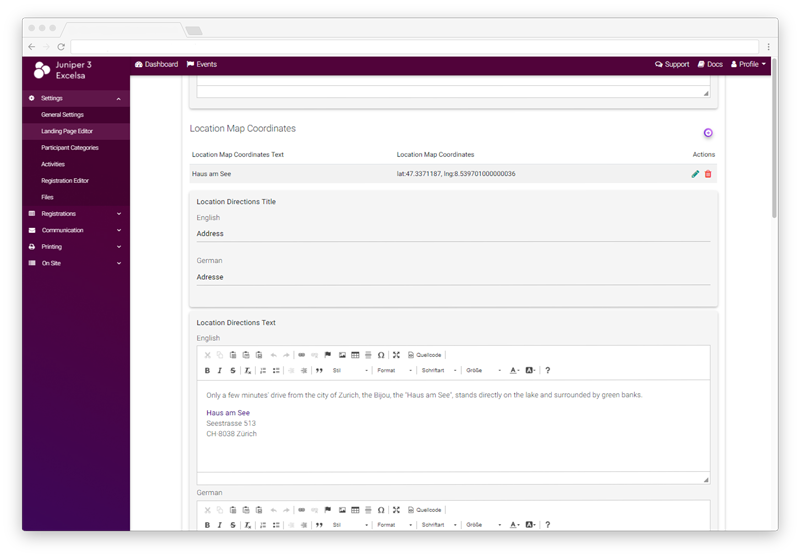 The overview is guaranteed by means of filters, a powerful search function and sorting according to adjustments. Excelsa complies with the EU General Data Protection Regulation (EU-DSGVO / EU-GDPR) and the Swiss-US Privacy Shield compliance. Your Dedicated Registration Management Software. 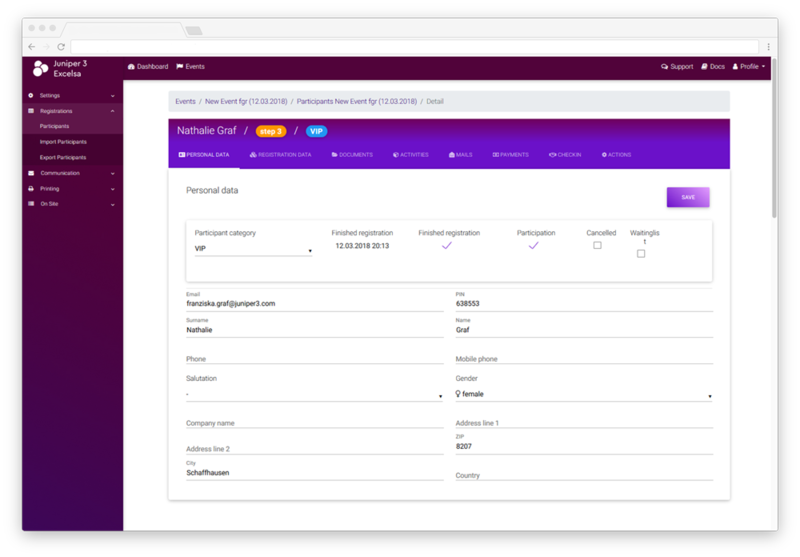 Excelsa supports you reliably and securely with just a few clicks in the planning, execution and evaluation of your event registrations, seamlessly integrated into the processes of the organization.